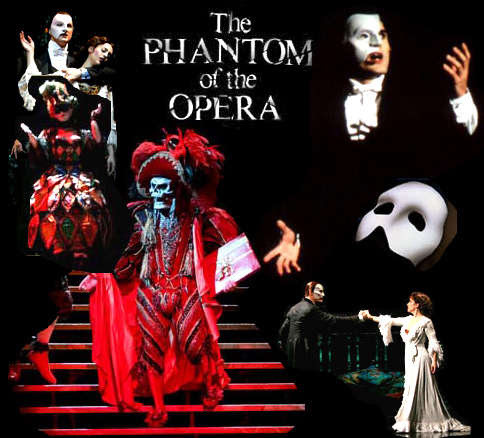 Here's “NOTES TWISTED EVERY WAY” LYRICS performed by PHANTOM OF THE OPERA. what answer can I give? to win the chance to live? who once inspired my voice? Do I become his prey? Do I have any choice? he murders all that's good . . .
and yet, I wish I could . . .
in this, the Phantom's opera . . .? rests on you now . . .
friend, the disaster will be yours! across the downstage area. OTHERS bring on gilt chairs. Hide our sword now wounded knight! for your pride, high price you've paid! both have been his battlefield. Those who tangle with Don Juan . . .
No, no, no! ChorusQrest, please. Don Juan, Signor Piangi - here is the phrase. "Those who tangle with Don Juan . . ."
No, no. Nearly - but no. "Those who tan, tan, tan . . ."
Are you certain of that, Signora . . .? So, once again - after seven. Five, six, seven . . .
No-one will know if it is right or if it is wrong. No-one will care if it is right, or if it is wrong. Those who tan . . . tan . . .
Ladies . . . Signor Piangi . . . if you please . . .
tangled in the winding sheets! he came . . .
my name . . .
thought of everything and nothing . . .
that he would send her the Angel of Music . . . Her father promised her . . . Her father promised her . .